SAILING: The 10th annual Multihull Solutions Regatta wrapped up yesterday (July 15) with another good day of sailing. 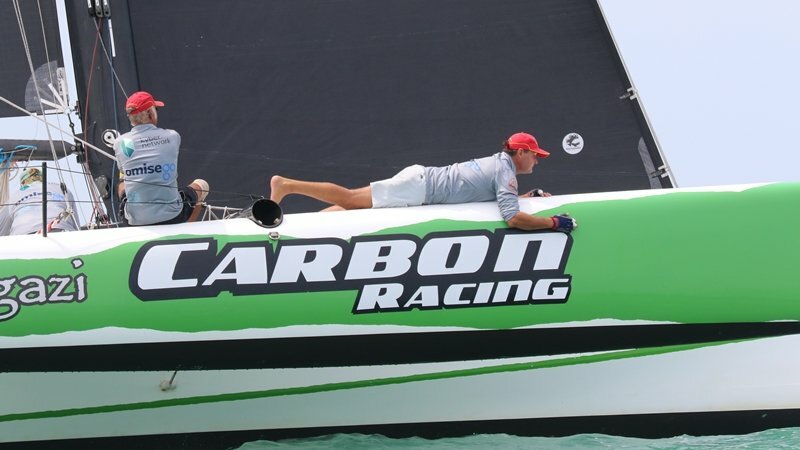 Principal Race Officer Simon James ran two races, a three-lap windward-leeward and then a triangle course for all classes except Cruising, which did a loop around nearby Koh Lon. In the final race of the Firefly series, positions two and three overall were still undecided. As John Newnham’s Twin Sharks had won every race up until then it had already captured the division with eight points. After the first mark, Surf Patrol took a commanding lead with Blue Noze, Mamba and Twin Sharks trailing in that orde. Positions two through four changed throughout the next lap until the final run when Twin Sharks jumped into the lead and Blue Noze finished in third place to take second overall with 21 points to Surf Patrol’s 25. Voodoo’s two DNS’s on day two hurt it and it slipped back to fourth overall with 36 points. Mamba, which also had two DNS’s on day two came fifth with 41 points, while Jonathan Kingdon’s Moto Inzi had to retire from the regatta after its mishap and finished with 50 points, including four DNS’s and a DNF. Jonathon Kingdon’s Firefly Moto Inzi was the only casualty of the regatta when it nosedived during the second race of the second day. Captain Brent McInnis of the Phuket Cruising Yacht Club’s preformed heroic work orchestrating the rescue. Kudos to Commodore Scott Duncanson of the Phuket Yacht Club for organising the regatta along with his two able lieutenants Tom Cracknell, the on-shore Manager, and Alfie Rowson, a driving force on the organising committee.